July 2, 2013 - If things could not get any worse for the already struggling St. Petersburg Clearwater International Airport based Avantair. Last week a class action lawsuit was filed against the company for allegedly failing to paid its workers wages, minimum wages and overtime violations, and violation of the Worker Adjustment and Retraining Notification Act (WARN Act), which protects employees, by requiring employers with 100 or more employees to provide at least a sixty day advance notice of a plant closing and or a mass layoff of employees. On June 26, Avantair laid off approximately 500 employees without proving the employees a 60 day notice as required by the WARN Act. The lawsuit filed on June 28, in Tampa District Court alleges the company reported to its employees that they were not in a position to fund payroll…for time worked since June 8, 2013. The company stated there would be an “immediate furlough and during the furlough, employees will not receive wages, benefits would only be provided through the end of June 2013, and the timeline of the furlough is unknown. Avantair, which is a foreign corporation, is an aircraft fractional ownership company, headquartered at Clearwater, Florida. The company provides fractional ownership, leasing and time card options within a fleet of Italian twin-turboprop engine aircraft the Piaggio P180. Avantair operates the largest fleet of the Italian P180 aircraft in the world. In October 2012, Avantair grounded its fleet of aircraft following an incident in which an elevator separated from the tail of an aircraft in Camarillo, California. In June 2013, Avantair grounded their fleet again due to questions about maintenance and replacement of time sensitive parts. 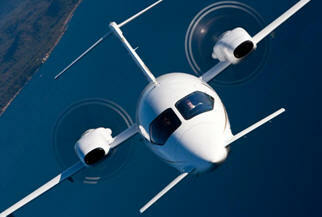 Avantair is now seeking additional financing to resume operations. However, the company also faces a class action lawsuit and an individual suit alleging that it had failed to provide prepaid service to customers. Dave Haslett, President and Chief Operating Officer said “As the company is considering its options with respect to its current situation and its future plans, we wanted to give our owner group a full picture of the current status of the company. Unfortunately, Avantair has recently faced significant liquidity issues. Our business model assumed efficiencies that never materialized and a pricing schedule based on those efficiencies. Over the past few months, we encountered issues that drained the company’s working capital, and it became impossible to recover without reassessing our capital structure and business model. “As our service was impacted and we were forced to temporarily ground our fleet, charter costs skyrocketed and our accounts receivable grew as it became increasingly difficult to collect on outstanding amounts due. This scenario is not sustainable and it is apparent that Avantair must restructure its affairs in order to emerge healthy and able to resume profitable operations. In addition to restructuring the balance sheet, we plan to revise our pricing to ensure profitable operations on a going forward basis. “The following are key points of which we would like our owners to be aware; your aircraft are on the ground at various maintenance locations and they are currently insured, we have been in contact with key suppliers and are pleased that most have expressed their ongoing support and encouragement. Key among them is Piaggio, which has offered to assist us in multiple ways, over the next several days, the company will be validating the fees we charge and a new business model will be presented to the owner group. We are optimistic that a viable and sustainable business plan will encourage owners to support the new program. We also believe that with a restructured organization and new business model going forward, Avantair can emerge as a profitable business that is able to provide the highest levels of customer service. Finally, we are in discussions with certain of our vendors, lenders and other third parties to obtain the working capital needed to restructure and fund operations going forward. “We will be in touch over the next several days with a more detailed description of the company’s business plan going forward. Customer service and satisfaction remains of the utmost importance to us as we work to implement a restructuring of our operations. We greatly appreciate your patience and continued loyalty as the company works through this difficult period”.